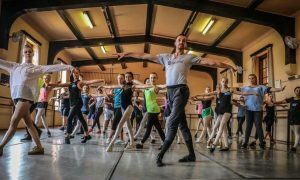 Would you like to train with one of the world’s most prestigious dance organisations like the Joffrey Ballet School from New York City – FOR FREE? Joffrey Ballet School in performance. Photo by Jody Q Kasch. 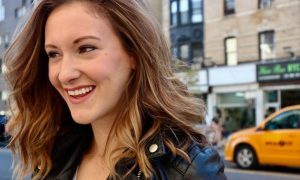 Dance Informa magazine and Joffrey Ballet School are offering a quarter of a million dollars in summer intensive scholarships, and a paid year-long position in the Joffrey Ballet Concert Group! The Joffrey Ballet School recently announced Dance Informa as their sole dance news provider. Since starting in Sydney in 2007, Dance Informa has successfully expanded into the US with a US office in Atlanta, Georgia, and a large team across the country. Dance Informa has grown in popularity so rapidly in the States that the Joffrey Ballet School has chosen to partner with Dance Informa on an exciting giveaway for dancers globally, including dancers from Australia! Worth over a quarter of a million dollars in prizes, the giveaway will open the doors to the Joffrey Ballet School’s prestigious summer programs for 25 lucky dancers between the ages of nine and 22. The scholarships will include two weeks of summer tuition (during our Australian winter), including accommodation and meals. And to top it off, one talented dancer will be offered a paid apprentice position in the Joffrey Ballet School touring company for one year. 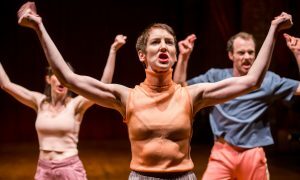 The 2016 summer programs will be held in New York City, Los Angeles, Dallas, Miami, south Georgia, San Francisco, Denver, and internationally in Italy and Russia. There are ballet-focused intensives, a jazz and contemporary intensive, a Broadway musical theater program and a new Summer of Hip Hop program, as well as intensives to cover all major forms of dance for those who don’t want to focus on just one style. There is also the Joffrey Tap Spectacular and two children’s dance camps. Each winner will be able to choose his or her summer program of choice. To enter, dancers must visit DanceInforma.us/ballet-scholarships and submit a two-minute audition video. Based upon audition scores, entrants will then be eligible to win a summer position, or the paid apprentice position with the company. The opportunity to also dance for a full year with the Joffrey Ballet Concert Group (JBS’ touring company) is exceptional. The prize offers paid employment and the chance of a lifetime to tour the US and internationally, dancing professionally. 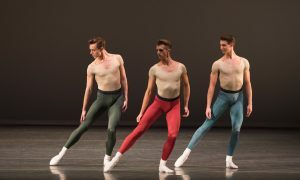 Based in New York City and founded in 1953 by Robert Joffrey and Gerald Arpino to develop and train professional dancers, the Joffrey Ballet School has a long history of producing exceptional artists. “One of the goals of the school is to create working professionals. We have created over 5,000 working dancers in the last 63 years!” D’Addario adds. Joffrey Ballet Summer Intesive. Photo by Jody Q Kash. Dancers from the Concert Group have gone on to dance for major dance companies such as American Ballet Theatre, New York City Ballet, Miami City Ballet, San Francisco Ballet, Boston Ballet, Complexions Contemporary Ballet, Parsons Dance, the Forsythe Company, the Martha Graham Dance Company, Dance Theatre of Harlem, the Joffrey Ballet, the Royal Ballet of New Zealand and other companies throughout the United States and Europe. 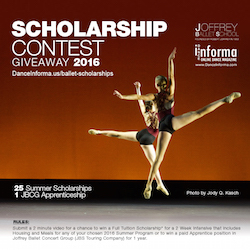 For a chance to win a position with the company, or a place at one of Joffrey Ballet School’s summer intensives, enter at www.danceinforma.us/ballet-scholarships. For more information on Joffrey Ballet School, visit www.joffreyballetschool.com. Photo (top): Joffrey Ballet School student. Photo by Lois Greenfield.